1. Click on the grey cog on the right hand side of the dashboard and click Settings. 2. 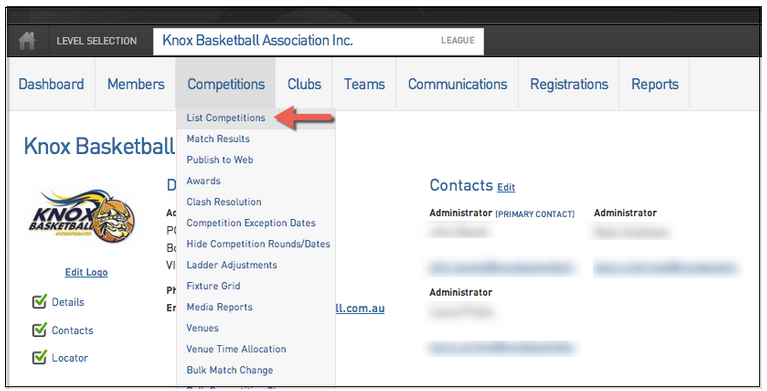 Ladder Templates are located in the Settings under Manage Competitions, click the heading. 3. In the top right click on Add a Ladder Configuration. 4. Here you will need to nominate the ladder name and the amount of points for each result. E.g. if you wish a team to receive 3 points for a win then enter 3 in the "Points Win" field. 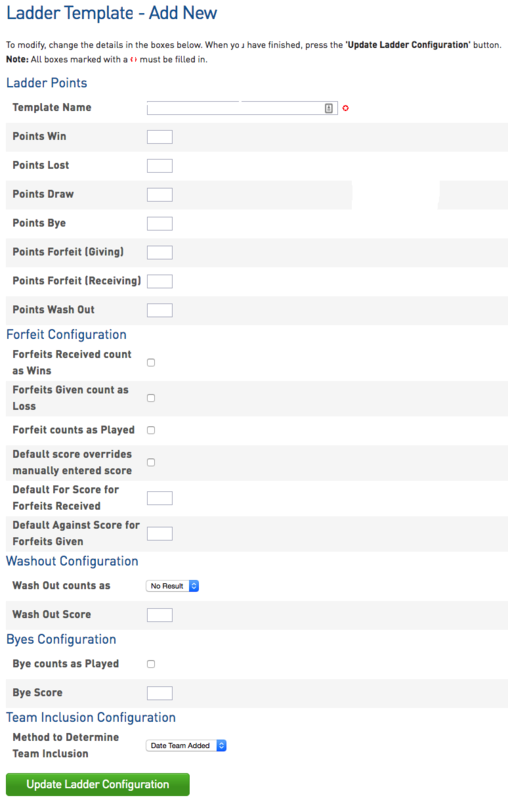 Team Inclusion Configuration; This field will determine when Teams in a competition will display on the Ladder. Once you have completed all fields, select the Update Ladder Configuration button. 5. At the following screen you are able to decide which fields you would like your ladder to display. Under Available Fields are all possible fields that your ladder can display. To select a field to display in your ladder, simply "drag and drop" from Available to Selected. Noting that the order in which selected fields display, are how they will appear on your ladder. 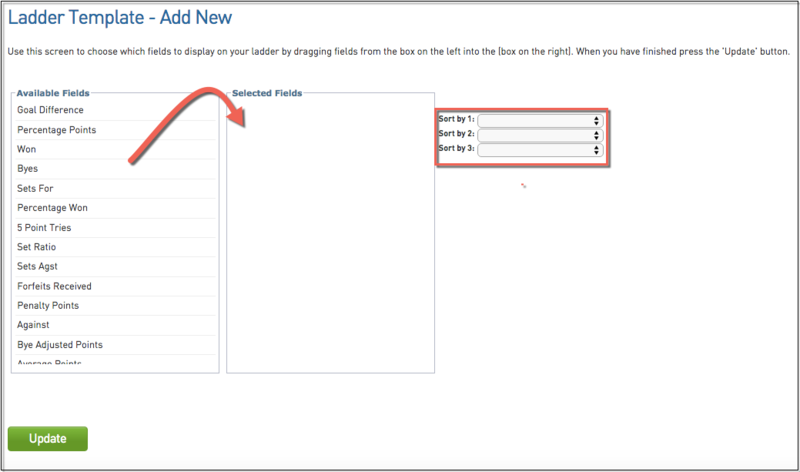 Determine your Ladder sort order by selecting your preferences from the drop-down. E.g. #1 Points, 2# Percentage etc. 6. In order to apply this ladder template to a competition hover over Competitions located in the Menu box on the left and click List Competitions. 7. Click the magnifying glass next to the competition you wish to edit. 8. Click on Edit Competition, located in the top right of the page. 9. 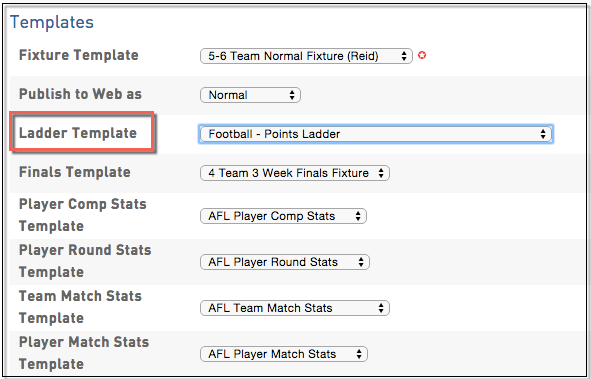 Scroll down to Templates and select the newly created ladder from the Ladder Template dropdown list. Scroll down to the bottom of the page and click Update Competition.